Lost since June 23rd, the story of the 12 Thai boys football team trapped in a cave for two weeks captivated millions of people around the world. The 11 to 16-year-old football players and their coach, 25-year-old Ekapol Chanthawong, were exploring the cave after practice on 23 June when it suddenly flooded because of heavy monsoon rains. The group spent ten days without any contact with the outside world, after finally being discovered 10 days later on July 2nd by a pair of British divers. Although the grueling 18-day ordeal sadly claimed the life of an experienced volunteer diver and riveted people around the world. Fortunately, it all ended on July 10th with all the children and the coach being rescued due to the efforts of courageous Navy SEALs of Thailand in the treacherous confines of a flooded Thai cave. Interestingly, when everyone outside the cave was in chaos and the whole world watched with uncertainty, it was a completely different scene with the trapped boys and their coach inside the cave. Forget children, anyone would be panic-stricken if left alone for so many days in the dark, cut off from the rest of the world, without food and depleting level of oxygen. But not these brave children, who were finally found 10 days after their disappearance. To everyone’s surprise, the 12 Thai boys and their coach were found in a rather clam state inside the cave. The reason behind was their football coach, who led them on a hike into the cave also taught the boys, ages 11 to 16, to meditate in the cave to keep them calm and preserve their energy through their two-week ordeal. The football Coach, Ekapol Chanthawon happens to be a Buddhist monk trained in meditation for a decade before becoming a soccer coach. He taught the boys some of the basic principles of meditation while they were trapped underneath the earth. Ekapol helped to keep the boys emotionally calm and balanced during the crisis through meditation. In the process, he also gave them vital tools they needed — specifically, teaching them how to tap into their own tranquility and inner stillness. He taught them how to keep themselves calm; a minor but magnificent distinction. Coach Ake, as he is known, still maintains close contact at the monastery. The abbot there told the Wall Street Journal he’s “a responsible young man who meditates regularly.” He is someone who has survived adversity, he lost his parents and a brother to a deadly disease when he was only 10 years old. Aisha Wiboonrungrueng, mother of the youngest boy says that the coach’s background definitely helped the boys. Reiterating what Wiboonrungrueng said, Chanthawong’s aunt tells that, “He would meditate and up to an hour, which probably helped him as well as the kids”. Wiboonrungrueng added that it was astonishing that none of them were crying but just calmly sitting and waiting. Videos captured by the Navy SEAL unit show that although weak, the boys and their coach were not in despair and were laughing along to jokes made by members of the rescue team. Leah Weiss, a Stanford expert who was taught by the Dalai Lama told CNBC that meditation helps in increasing focus and compassion and played a significant role in keeping all of them alive. She added that when distressed or angry, cognitive resources could get “hijacked”. Meditation helps in accessing these cognitive resources. 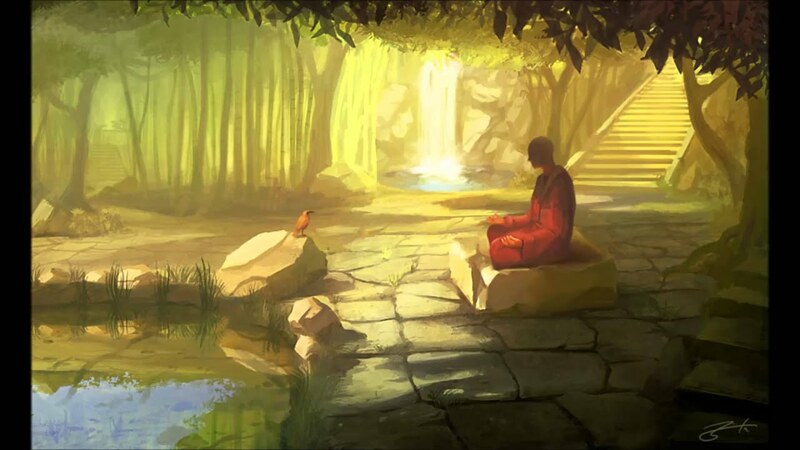 Meditation also slows down the heart rate, breathing, and metabolism as it creates a calming effect. It also lowers cortisol and the utilization of oxygen, Weiss added. 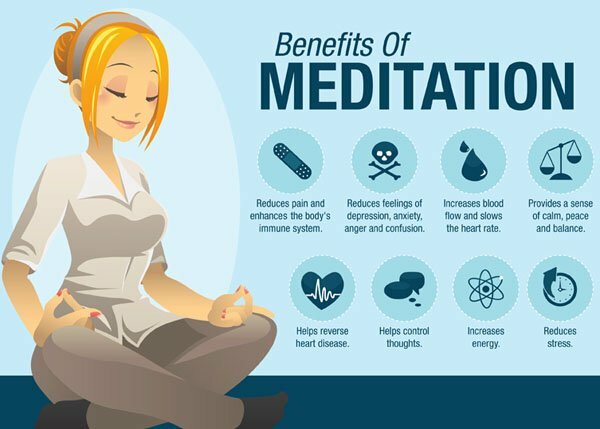 Meditation is known to have a host of health benefits and may be uniquely suited to help people cope with extreme stress. Several studies have found links between meditation and an immediate, measurable reduction in feelings of depression and anxiety as well as physical pain. Recently, scientific researchers have shown in clinical settings that mindfulness meditation (a specific meditation practice and one that’s taught in Thai Buddhism and elsewhere around the world) can reduce anxiety and depression, as well as pain. SourceA growing body of research on meditation also suggests that even a few minutes of daily mindfulness is linked to lower stress levels, more positivity, enhanced creativity, and even better focus. Meditation helps people deal with worrisome thoughts. It’s somewhat like taking a broom to the bustling thoughts that can crowd our heads and wait until all the dust has settled. All those benefits likely drew Chanthawong to the practice, made him teach the method to his players, which, as a result also readied them for their hours-long treacherous escape guided by expert cave divers. Teaching them meditation sounds very simple and subtle but it could be a prime factor that helped to save the lives of the coach and the 12 young boys. “We are not sure if this is a miracle, a science, or what,” the Thai navy SEALs wrote on Facebook on Tuesday, after the rescue was complete. Hence, for most of us looking for even a pinch of motivation to do daily yoga or meditation, this could be a big lesson to learn from. If meditation can help these 12 young boys and a 25-year-old adult stay calm and sane inside a cave for 18 days, it can definitely help us stay stress-free. Practicing yoga daily can take us to heights beyond our imagination.